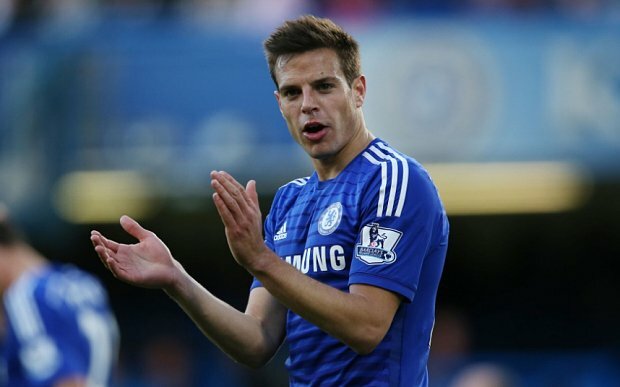 FC Barcelona are reportedly in contact with Chelsea player Cesar Azpilicueta as they are still in search of a right back. Following the departure of Dani Alves to Juventus, Barça are in the market for a replacement and a host of top names have been listed for that position including Arsenal’s Hector Bellerin and Valencia’s Cancelo. AS have reported that four top European clubs of which Barça are the latest to join the race are interested in signing the versatile Spaniard who Chelsea will be willing to let go for €18 million. According to numerous sources, Barça’s top option for the right back position is Hector Bellerin but Arsenal are reluctant to let their man go. The Catalans have Aleix Vidal and Sergi Roberto for that position but both players are not natural right-backs so a new name is likely to arrive. Azpilicueta is versatile and could solve both Barça fullback problems on the left and on the right. It would be a difficult transfer to pull off as PSG, Bayern Munich and Athletic Bilbao are also interested in signing the 26-year old.